Are you wondering what you’re going to do with the abundance of leftovers after Easter dinner Sunday? Ham sandwiches or biscuits can only go so far. Dice that ham up and save it! 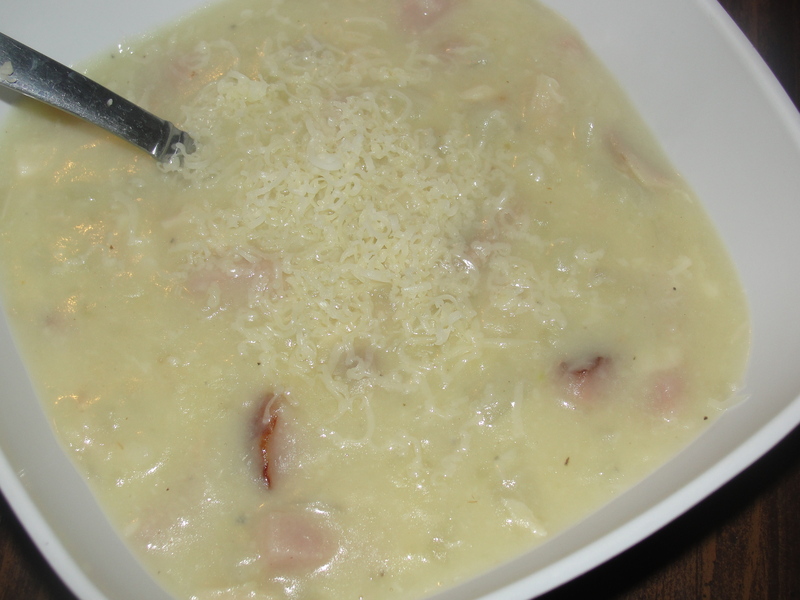 This soup is delicious and is a perfect way to make use of those saved leftovers. 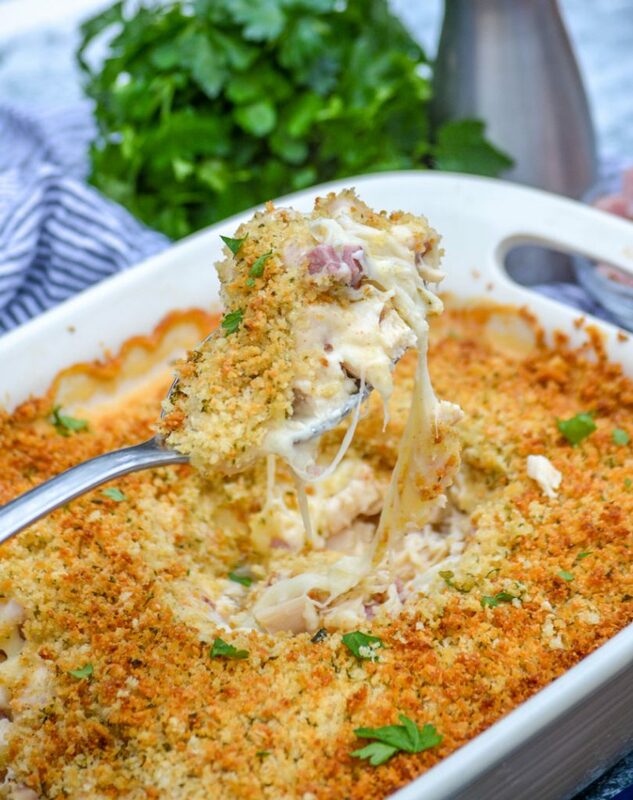 I loved that it gave us the chicken cordon bleu taste we were craving, in a cheaper and easier form. I served it with some oatmeal pull-apart rolls, and every one of my guys had two bowls. There were no leftovers! Place washed, peeled, and cubed potatoes into a large pot and add the chicken broth. Cover. Bring to a boil, reduce heat and simmer until potatoes are fork tender. In a separate pot, or pan, melt butter. Add onions and saute until soft. Add garlic, and saute 1-2 minutes. Add flour to the pan and whisk together with the onions and garlic. Let the mixture cook about 1 minute. Slowly add the milk, a 1/2 cup at a time, whisking constantly. The only lumps you should see should be the onions. Continue adding milk and whisking constantly until all the milk has been evenly incorporated. Bring the roux to a simmer and let it heat until thickened, about 5 minutes, whisking often. Add the thickened roux to the potatoes and chicken broth in the large pot. Using a potato masher, mash potatoes in the pot until there’s minimal chunks. Turn the heat to low, and add the chicken and ham. Add salt and pepper to soup to taste. When heated through, add the swiss and stir until melted and evenly incorporated.